Today wasn’t a bad day on the river. It was a little intense for about an hour this morning. 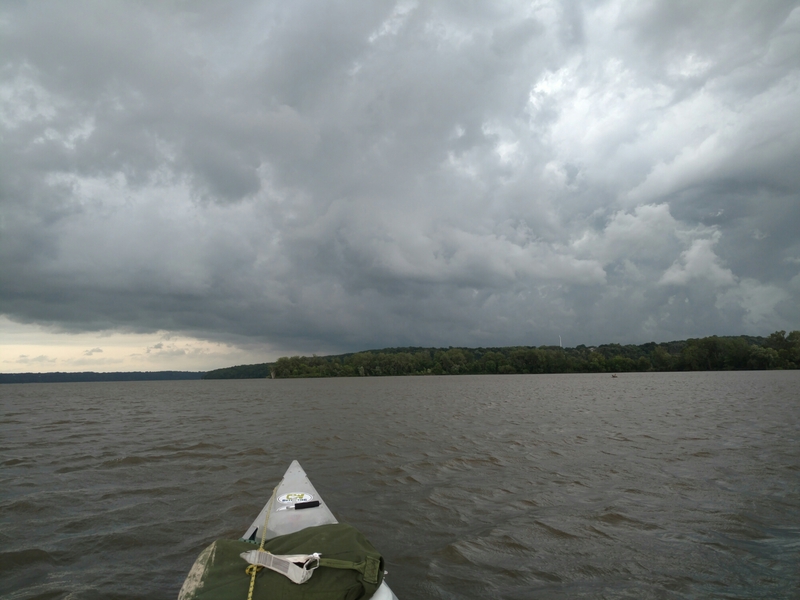 A really fast moving thunderstorm swept through and some high winds blasted me down the river. I wasn’t complaining because I didn’t really have to paddle at that point, just steer. I became worried when my island barrier ended and I saw major white caps ahead of me. 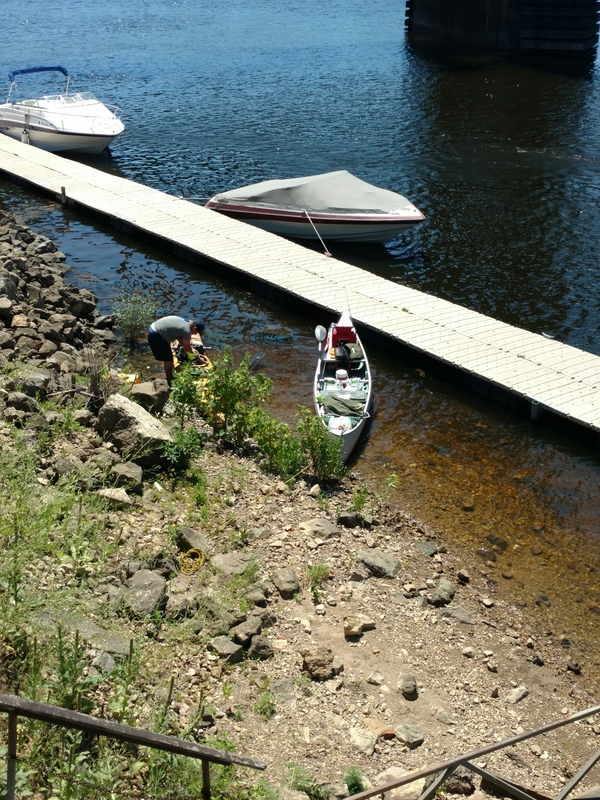 I knew my canoe couldn’t handle that kind of water so I retreated to a tiny island. After it calmed down a bit, Scott and I made a daring dash across the channel to some bluffs. I started to question our judgement when some big rollers started hitting me broadside. One of those could have sank my boat but I prevailed and continued on to lock and dam 2. A barge was leaving as we approached so it was a quick in and out ordeal. 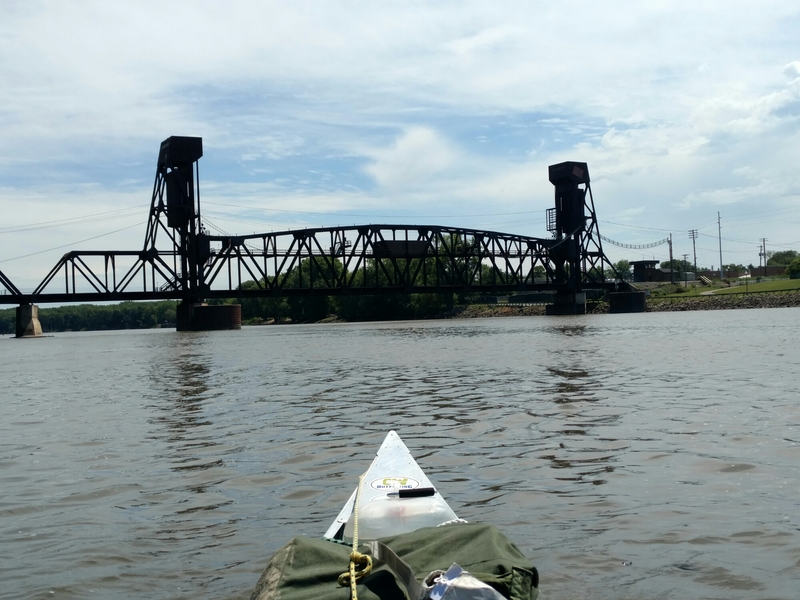 We decided to paddle down to Prescott, WI for a supply run but discovered the grocery store was too far to walk to, so we ate lunch at Muddy Waters and continued on down the river. 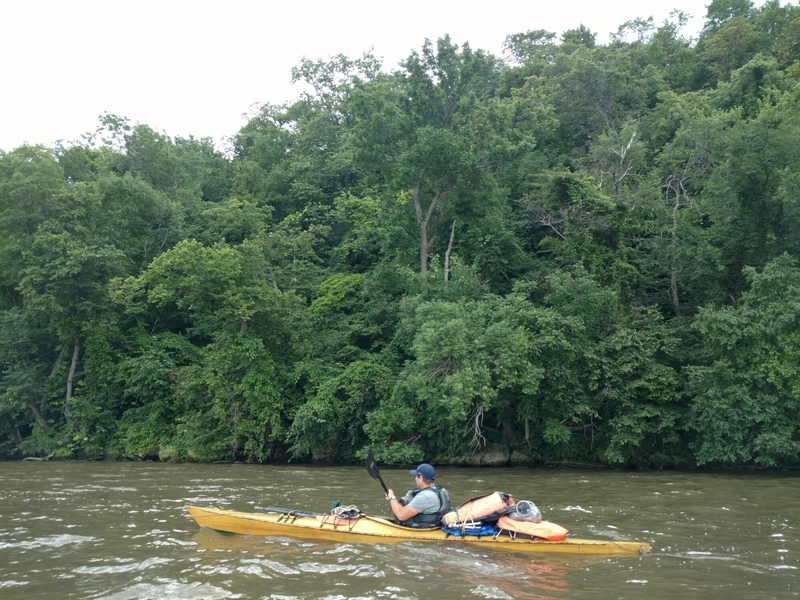 We picked an island with high enough ground to deal with the rising water and called it a day after 19 miles of paddling.